1. It’s home to the world’s most unique vineyard. Yes, it’s possible to establish a vineyard on a coral atoll. And The Islands of Tahiti are the only place in the world to have one. Check out Vin de Tahiti in Rangiroa for white wines and rosés produced in the middle of the Pacific Ocean. 2. Overwater bungalows were invented here. The Islands of Tahiti are the birthplace of the overwater bungalow. The first were built on Raiatea at the Bali Hai Hotel in 1967, and soon after they appeared on nearby Moorea as well. Today, they’re synonymous with luxury escapes and are found on most tropical islands because…well, just look at them. 3. “Tahiti” is way more than just one island. The Islands of Tahiti cover a vast area in the South Pacific — about the same size as Western Europe, in fact — and encompass 118 islands and atolls across five different archipelagos. There is so much to explore. 4. And all of them are closer than you think. Tahiti and all those surrounding islands sit about midway between California and Australia — you can get here on an eight-hour flight from Los Angeles. The islands are on the same side of the International Date Line as North America (so no head scratching when you’re looking at airline itineraries), and they’re actually in the same time zone as Hawaii, making jet lag minimal. 5. The tiare is more than just a pretty flower. The fragrant white tiare flower is the symbol of The Islands of Tahiti and is worn by both men and women as a necklace, head ornament, or behind the ear. Which ear the flower is placed behind is determined by whether one is single or taken: Place the flower on your left ear if you’re attached, or you can always ask a Tahitian where you should wear it if you’re ready to mingle. 6. This is one of the most newly inhabited places on Earth. The Islands of Tahiti were among the last places on the planet to be settled by humans. No one really knows why early peoples migrated here or even where they originated from, but the first evidence of humans is dated about a thousand years later than anywhere else in the world. The islands were also among the last to be colonized by Europeans. 7. Tahiti was home to food trucks way before they were cool. Long before the food truck became a staple in the hippest cities around the world, The Islands of Tahiti were ahead of the game with the roulotte. These food trucks can still be found almost everywhere around the main island of Tahiti, especially on the Papeete waterfront, and they serve everything from crepes to waffles, Chinese to burgers and fries. Peaceful lagoon waters, air scented with vanilla and tropical flowers…The Islands of Tahiti are the ultimate in tranquility. In fact, relaxing here can feel a bit like being in a spa. So when you go to one of the islands’ spas — you’ve got it — you’re basically in a “spa-within-a-spa.” There are over a dozen across The Islands of Tahiti, and they all make the most of the islands’ natural bounty; local treatments utilize Polynesian oils, fresh flowers, vanilla body washes, banana leaf body wraps, and deep ocean water treatments. 9. The word “tattoo” originated here. In Polynesian culture, tattoos have long been considered signs of beauty, and in earlier times they were ceremoniously applied when an individual reached adolescence. Even today, about 60% of French Polynesians have a tattoo. The word originated here with the god of tattoo, Tohu, who legend has it passed down instructions for painting all the oceans’ fish in beautiful colors and patterns. 10. The Tahitian alphabet contains only 13 letters. 11. Paul Gauguin spent his final years here. The famous French painter spent his twilight years on The Islands of Tahiti and is buried in the Marquesas on the island of Hiva Oa. You can visit the Japanese-styled Gauguin Museum (it will re-open after renovations in June 2016) in Harrison Smith Botanical Gardens to learn more about the post-Impressionist and see many of his original sketches, engravings, photos, documents, and prints. 12. Tahiti’s biggest export is way more interesting than oil or gas. A country’s biggest exports tend to be practical resources like fossil fuels or minerals. 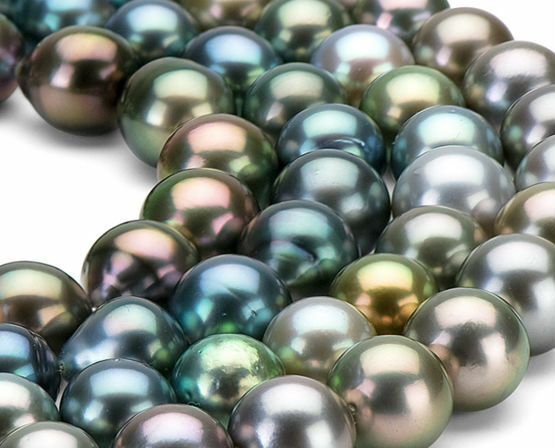 But The Islands of Tahiti harvest something way more beautiful and unique: Tahitian cultured pearls. They grow almost exclusively in French Polynesia’s warm lagoons, and you can learn all about judging their value according to color, shape, and size at the Robert Wan Pearl Museum in Papeete. Then go ahead and choose your own at the black pearl farms in Manihi, Rangiroa, Raiatea, and Huahine.